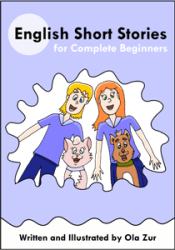 There are many English short stories for English learners, but not many of them are suitable for complete beginners or kids. Students who are taking their first steps after just learning the alphabet require a different approach. Words' spelling does not match the sounds of the letters they have just learned! The student has learned that "e" is pronounced like the "e" in "egg." The reading assignment, however, has words like "make" and "break," where this is obviously not the case. Naturally, there are specific spelling rules, and these can be explained, but not at this stage. The first and foremost is to get your students comfortably reading and building up their vocabulary, reading skills, and confidence. The stories are fully illustrated and full of humor --> a great recipe for some learning fun. 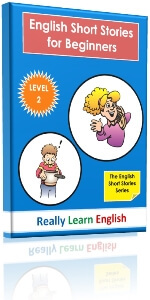 Start reading quickly and easily with these set of stories. This booklet introduces and practices some basic nouns and adjectives, as well as the word 'a'. At first, all words are grouped based on their vowel sounds. Later on, this step introduces the difference between singular and plural nouns. There are no advanced spelling patterns such as the silent 'e', "ough", and "tion"
Each word is repeated many times. Each of the following steps provides further practice on the words and principles learned in the step(s) before. The goal is gradually to build up the student's vocabulary and reading skills. This step introduces and practices additional basic nouns and adjectives, as well as some key verbs.  The basic sentence structure is used for the first time. This step introduces and practices additional basic words, as well as key prepositions. it also teaches the difference between "a" and "an." In the end of this step, there are a few very short stories. The full adventures of the beloved Angela and Tom. One of the difficulties at this stage is to practice the newly learned vocabulary. This simple workbook is actually a useful picture book to review and practice the new words and subjects. Full instructions for usage are included! Many teachers struggle to find the right stories for their students. In the end, they either make their own stories (very time consuming! ), or buy imperfect stories and manage with them somehow. Save yourself the time and money, get these professional made short stories. Plus, they work great in motivating students to read! All of the words are simple, and can be read according to their spelling. The book is funny and surprising, which makes it more fun to read. Every time I wanted to read more words. Overall I've read more than 2000 words! 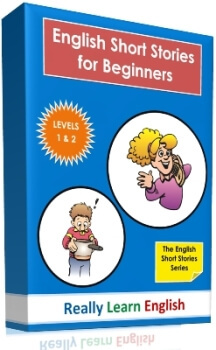 This booklet is a great addition to the English Short Stories for Beginners bundle. 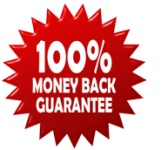 If, at any time, during the first 30 days after your download, you are not satisfied with English Short Stories for Beginners bundle – just let me know and I will give you a full refund, no questions asked.